Name of the exhibition: Melo Jiguen. 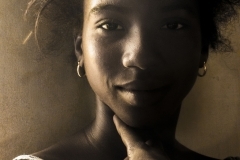 The photo exhibition ‘Melo Jiguen’ (Color Women) is the most recent work of this cycle (year 2016). 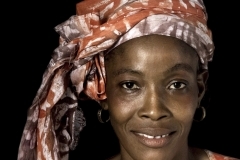 It is a dialogue full of color and feelings with a group of Senegalese women. The author of these images is Mercedes Vall. Fotógrafa heart, on their trips he captures like no beauty and soul of everyday things. 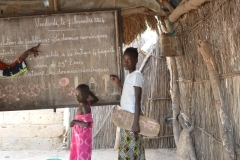 And a very clear example of this are these images made in Malicounda (Senegal), in August 2015, during his trip to Senegal NGO Coopera. You can see them in the next gallery. Name of the exhibition: Come into my school. In 2015, joined cycle exposure ‘Come into my school '. 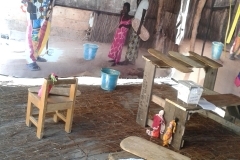 Photographs and objects made in Senegal by Luis Miguel Belvis shaped this exhibition, It presented inside a tent in which we tried to reproduce the atmosphere of an authentic African school, which it appears in the first photographs gallery. 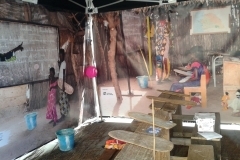 This tent has toured various cultural and educational centers in order to raise awareness about the problems access to education that other children and young people face. 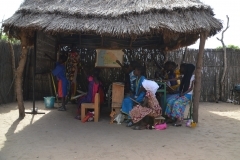 The exhibition is inspired by Africa, as it represents a school with large photographs of Senegal, with students and everyday objects that have at school (desks, whiteboards, chalks, canteen, small toys ...). 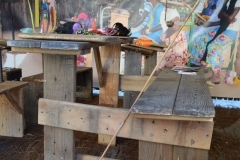 With our tent invites everyone to come, sit and 'feel’ again as when he went to school. We want 'touches and think’ and 'think you look and.